Nursing assistants trained through Great Lakes Bay Michigan Works inspect simulated cadaver. Great Lakes Bay Michigan Works! was awarded $1.8 in Going Pro Talent Fund grants for 52 employers in five counties. (Average about $35,000 per employer), the agency announced recently. "These funds will provide crucial opportunities to train new and existing employees. The funds will focus training in areas like leaning manufacturing, inventory management, blueprint reading, advanced safety, welding, and accounting," said Chris Rishko, CEO of Great Lakes Bay Michigan Works! Since the program's inception in 2014, Great Lakes Bay Michigan Works! has helped over 100 employers and over 6,000 employees. Access to Going Pro Talent Funds (formerly known as Skilled Trades Training Funds) is possible only through a proprietary grant process spearheaded by Great Lakes Bay Michigan Works! The organization partners with local economic developers as well as regional training providers and chambers of commerce to refer employers to the application. Great Lakes Bay Michigan Works! holds employer information sessions each summer to help them successfully apply for Going Pro Talent funds. Also announced this week was Marshall Plan for Talent grant award recipients. Two regional partnerships have been granted over $7.4 million to address the talent gap by connecting employers and K-20 students to high-demand, skilled-technical jobs. Saginaw Intermediate School District, in partnership with the Muskegon Intermediate School District, and Gratiot-Isabella RESD were both on the receiving end of the grant process. Both organizations turned to Great Lakes Bay Michigan Works! for vital labor market information and training connections when submitting their successful grants. Chris Rishko notes, "The role of our organization puts us in a unique position to facilitate collaboration between partners in education, industry, and training. These types of partnerships inspired by the Marshall Plan for Talent drive the innovative solutions that are so very crucial to ensuring our region's labor force is ready to meet the needs of employers now and into the future." Great Lakes Bay Michigan Works! convened a consortium of regional hospitals and training providers to discuss ongoing hiring needs in the health care industry. The result of our meetings is a new, accelerated training program for medical assistants that begins January 2019. 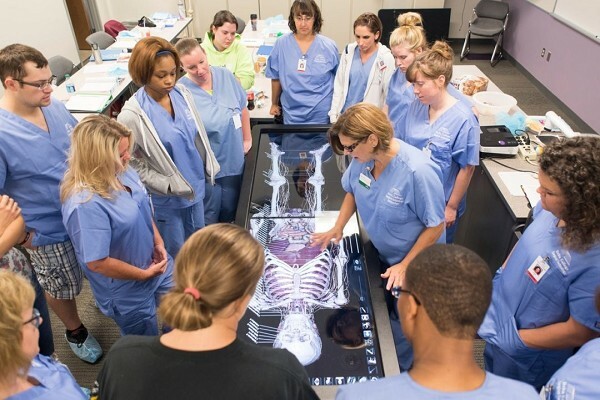 With the help of Covenant HealthCare, McLaren, and MidMichigan Health, Delta College is creating a three-semester curriculum designed to move those interested in the field through the certification process quicker. Successful trainees will be guaranteed a chance to interview with each of the hospitals and/or their subsidiaries for employment. Great Lakes Bay Michigan Works! is providing a series of information sessions at our service centers to attract job seekers and trainees, and will provide scholarships for those who qualify. "For more than 10 years, the GLBMW Healthcare Industry Council has been working together to address common industry challenges," says Kristen Wenzel, Great Lakes Bay Michigan Works! chief operating officer. "This is yet another example of innovation and cooperation that helps each member company solve talent and recruitment shortages.